Teething can be a real pain for baby, but you can help eliminate some of their discomfort with the award-winning Twisty® Figure 8 teether! This Parent's Choice Gold Award winner has five gentle and stimulating textures to encourage chewing and provide relief for your baby's sore gums. 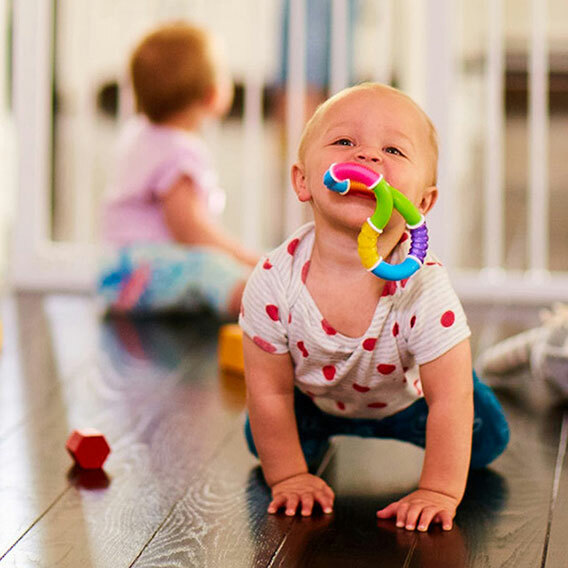 Perfectly sized for little mouths and hands, the teether's twistable, colorful design and rattle sounds make it an excellent developmental toy that babies find irresistible. No wonder it's winning awards and winning over parents and babies, too.